Online registration for these exams is open April 1-30. To qualify, dogs must be “active working dogs” that were certified by a formal training program or organization, or currently enrolled in a formal training program. The certifying organization could be national, regional, or local in nature. Before calling MedVet to schedule an appointment, first go online to register at www.ACVOeyeexam.org. Specific service groups are also listed on the website. 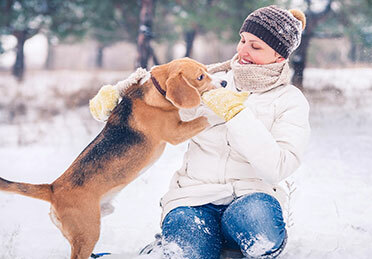 Once registered, please call MedVet’s ophthalmology department to schedule your appointment: 614.431.4404 at Columbus, 513.561.0069 at Cincinnati, or 937.293.2714 at Dayton. Complimentary eye screenings are held the entire month of May at these three MedVet locations. MedVet is joining around 300 board-certified veterinary ophthalmologists across the U.S., Canada, and Puerto Rico to provide free sight saving eye exams to improve the health and avert potential diseases for thousands of service animals. MedVet is proud to participate in this philanthropic event.